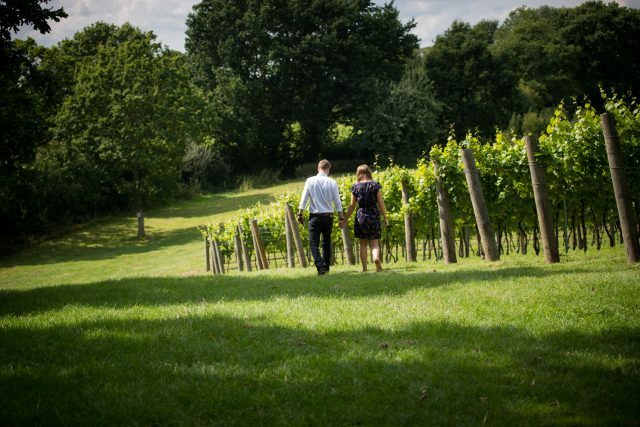 Wine writer and blogger Josh Lachkovic has launched a six-part podcast series entitled ‘An Introduction to English Wine’, featuring interviews with 16 different winemakers from across the country. The podcast, which is available on iTunes and Google Podcasts, is grouped together by county and region and features a series of interviews conducted by Lachkovic last summer. With 2018 reported to be the most fruitful in the industry’s history, Lachkovic speaks to winemakers and grapegrowers from across England. The first episode features producers from East Sussex and interviews with Will Davenport of Davenport Vineyards (whose low intervention winemaking methods won the company this year’s Amorim Sustainability Award for a Company), Kristin Syltevik from organic producer Oxney Estate, qvevri-user Ben Walgate of Tillingham Wines, and David Carr Taylor of Carr Taylor Wines, one of England’s oldest commercial growers. Next Lachkovic moves to Kent, speaking to Charlie Holland of Gusbourne, Josh Donaghay-Spire of Chapel Down and Adrian Pike of Westwell Wines. In Surrey, he interviews Nick Wenman of organic producer Albury Vineyard and John Worontshak from Denbies & Litmus Wines. In Hampshire, Corinne Seely of Exton Park and Jacob Leadley from Black Chalk Wines discuss how they got into the industry, while in the south west, Camel Valley’s Sam Lindo, Bluestone Vineyards’ Natt McConnel and Bride Valley’s Steven Spurrier talk about their experiences. Finally, in the east of England and London, former MP Sir Kenneth Carlisle of Wyken Vineyards and Sergio Verillo of Blackbook Winery expand on their wines. Commenting on the launch of the podcast, Lachkovic, who also writes a wine blog and weekly wine newsletter, said: “We are at the beginning of a golden age for English wine. Over the last few years, we’ve seen craft beer and craft gin skyrocket in sales as a deeper care for where our drinks come from has emerged.